Largely unheard of, Richard Ngarava is a 19 year old Zimbabwean fast bowler who has already featured in ODI’s and T20’s for his country. The young left armer has been generating substantial hype in Zimbabwe after a successful under 19 world cup in which he took 5 wickets, highlighted by his 4/10 against South Africa in which resulted in a call up to the Zimbabwe squad for the ODI series against Afghanistan. Since his debut in February, Ngarava has since gone on to play 6 ODI’s and pick up 8 wickets at an average 0f 32 and economy of just under 6. His current success in this form of the game could be a sign of things to come for the youngster, and if he continues to impress, will be taken very seriously for contention for the Test team. 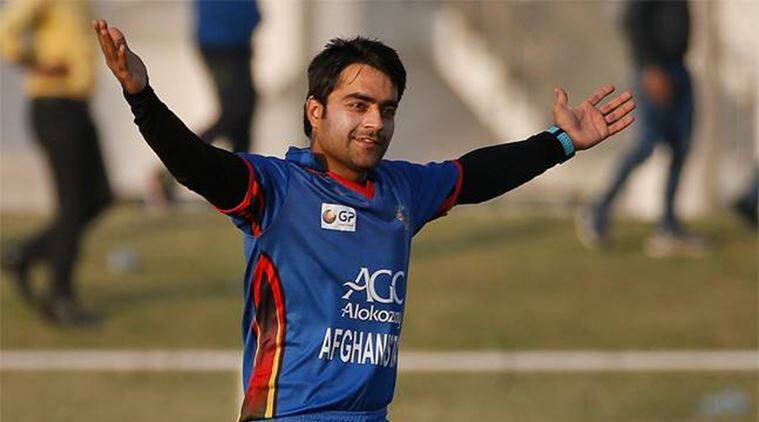 Labelled the next great leg spinner of the generation, 18 year old leg spinner Rashid Khan has already featured for Afghanistan 28 times in both T20 and ODI formats of the game, however, it is his recent success in the latter that has caught the eye of many around the world. While Khan is not a big turner of the ball, it is his ability to deceive batsmen with a change of pace and varying the flight that constantly forces the batsmen to be aware and more than often, his constant, stump to stump line causes a mistake to be made. In these 28 games he has played, Khan has taken 63 wickets at an average of 14- demonstrating his surreal consistency to take wickets constantly and against quality opposition, highlighted by is 7 for 18 against the West Indies. Often compared to Pakistan ODI great Shahid Afridi, Khan doesn’t only possess ability with the ball, but is more than capable with the bat, averaging just under 20 in ODI’s and, with a strike rate of 99 and a high score of 60*, he can score big runs and quickly, too. Furthermore, Khan also possesses ability in the field, and with a sharp pair of hands and great agility, he is arguably the most reliable fielder for the Afghans. 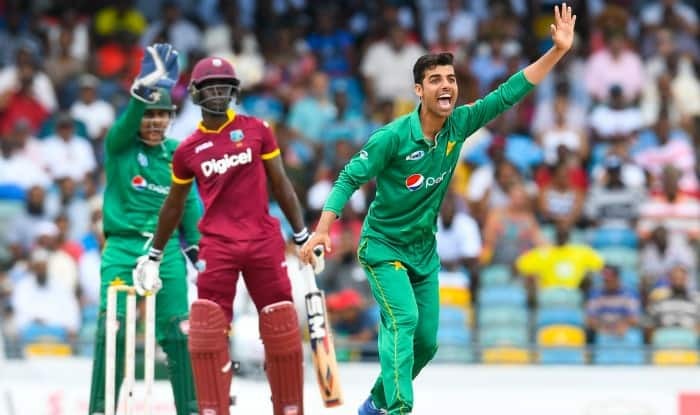 A great turner of the ball, 18 year old leg-spinner Shadab Khan burst onto the cricketing scene late 2016 but has since turned many heads in all forms of the game. Labelled the most exciting young Pakistani prospect, Khan is renowned for his ability to take wickets whilst maintaining a very good economy rate as well as possessing a hard to pick wrong-un. While he is still young, Khan’s rise to success in ODI’s has been somewhat unexpected, having only played his first first-class game in mid 2016. Nonetheless, Pakistan’s gamble to select him for the series against the West Indies has payed off, taking 7 wickets in the 5 games he has played, but also notably, showing collectiveness and composure lower down the order with the bat in which gives Pakistan added batting depth too. One of the leading pace bowlers of the South African team in all formats, Rabada is not only one of the most promising bowlers in world cricket, but also, already one of the most established and successful. At only 22 years of age, Rabada already has 40 ODI’s under his belt and a remarkable 60 wickets at just under 27. This superb record is the product of rapid swing bowling and an excellent slower ball in which is capable of destroying the best of batting lineups, most notably his 4/39 earlier this year against England. Furthermore, Rabada also offers batting firepower down the order, and with an average of 17.12, gives the South African batting lineup added depth and possibility of scoring runs lower down the order. 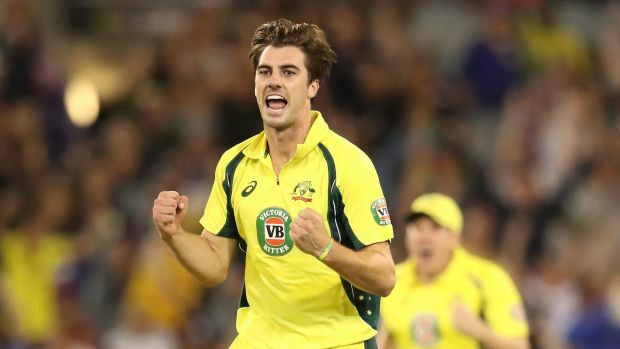 Similar to Rabada, Pat Cummins is another quick bowler who, despite his young age, has already established himself on the ODI and Test stages and is looking to become the future spearhead of the Australian bowling attack. Whilst ravaged by injury in the early stages of his international career, Cummins has made somewhat of a resurgence in 2017- making a successful comeback into both the Test and ODI teams. In particular, his ODI form has put on display his supreme talent and a glimpse of what is to come in the future if he can avoid injury. He now possesses a bowling average of just under 28, and, in the 31 games he has played, has picked up 53 wickets, however, this average should continually prove as he gains further experience on the international stage. Furthermore, Cummins is also very handy lower down the order with the bat and is known for his late innings big, clean hitting which more than often proves to be influential on the game. One of the bright stars of Bangladesh cricket, Mehedi Hasan is a 19 year old bowling all rounder who also bowls right arm off-spin. While he is mostly recognised for his 12 wicket test match against England in March , Hasan’s record for Bangladesh in ODI’s as of recent has also been notable. Although he is only at an early stage in his career having only played 6 ODI’s, Hasan has already seen himself score a ODI fifty and average 27 in 3 innings, of which have against Sri Lanka, Australia and New Zealand, showing his ability to perform at a high level with very little experience. In terms of the ball, Hasan is yet to demonstrate his full capacity to take wickets with only 4 in these 6 games, however, as he gains experience on the international stage, Hasan will undoubtedly add to this record. With a batting average of 47 and a bowling average of 36, Hardik Pandya’s ODI record at 23 years of age is slowly becoming recognised and in turn, his reputation outside of the subcontinent is being enhanced. His 7 innings in ODI matches so far has produced 147 runs, a superb number for a player with only 17 games of first class experience. Pandya’s rise to the international level has seen him become a mainstay of the Indian lineup and become a key figure in all aspects of the game. 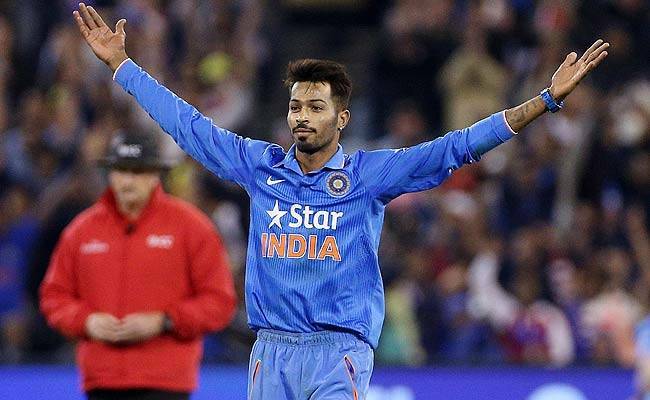 On top of his cool and collected batting style, Pandya has also taken 12 wickets in ODI’s for India with an economy over just over 5, demonstrating his ability to be both a source of wickets but also, a reliable figure if the run rate needs to be slowed down. If Pandya continues to perform an improve on his current performances, he will certainly become a big presence on the cricketing world in the future. 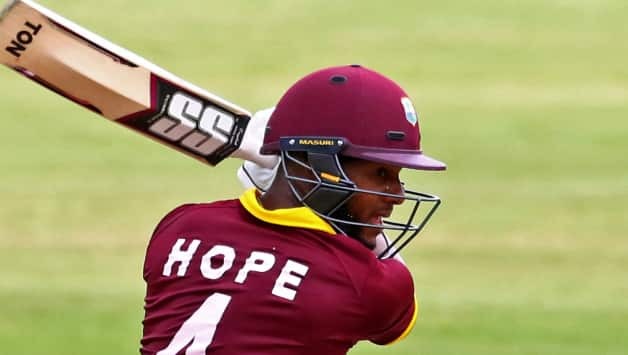 A future wicket keeper prodigy, Shai Hope possesses a great pair of hands behind the stumps and superb agility however, arguably more importantly, is an excellent middle order batsmen who has already scored many runs for the West Indies, particularly in the ODI format. Hope’s average of just over 40 in 12 innings demonstrates his immense potential to contribute consistently with good scores. His high score of 101 which came in just his second ODI further proves his ability to not only score consistent runs, but also big runs. While his habit to fade behind the stumps towards the end of an innings has come under some scrutiny, Hope’s potential is undoubtedly present, it is just a matter of continuing to perform consistently, and if he can do that, Hope could become a hugely successful wicket keeper batsmen. Although he is yet to make his ODI debut, 20 year old Hameed has demonstrated his exceptional batting skills in first class games, and in turn, has earned a call up to the England test team. As an opening batsmen with a solid technique, Hameed has been dubbed to become the permanent opening batsmen for England at the top of the order, a position that has not been properly filled since the retirement of Andrew Strauss. Not only was Hameed widely regarded as one of the most outstanding young batsmen in England, but also, he has proven to back this statement up with excellent performances in the Test match arena. In the 6 innings he has taken part in, Hameed has already seen himself score 218 runs with 2 fifties at an average of 43, including an 82 against India. This superb record is indicative of his massive potential, and, for the sake of English cricket, many will be hoping he can live up to the hype. Another fantastic yet underrated wicket keeper batsmen, Niroshan Dickwella is another prime example of a player who is relatively unknown outside of their country, yet possesses similar qualities and records to more renowned cricketers of our time. As an attacking batsmen, Dickwella offers added firepower and prowess to Sri Lanka’s middle order in all three formats of the game, with most of his success coming from ODI’s, where, he has managed to rack up over 500 runs in 13 innings with an average of 38, a record very good considering the majority of games he has played have been against top 4 nations. In terms of his keeping, Dickwella is more than competent behind the stumps, however, will be looking to improve his stamina and concentration in the longer formats if he is to cement his place in the test team. Overall, at only 23, Dickwella still has time on his side, and if he continues to grow as a player, could become a regular for Sri Lanka in all three formats. A 20yr old wicket keeping batsmen, Glenn Phillips is somewhat of a rare player in terms of quality at a youth level within New Zealand cricket. 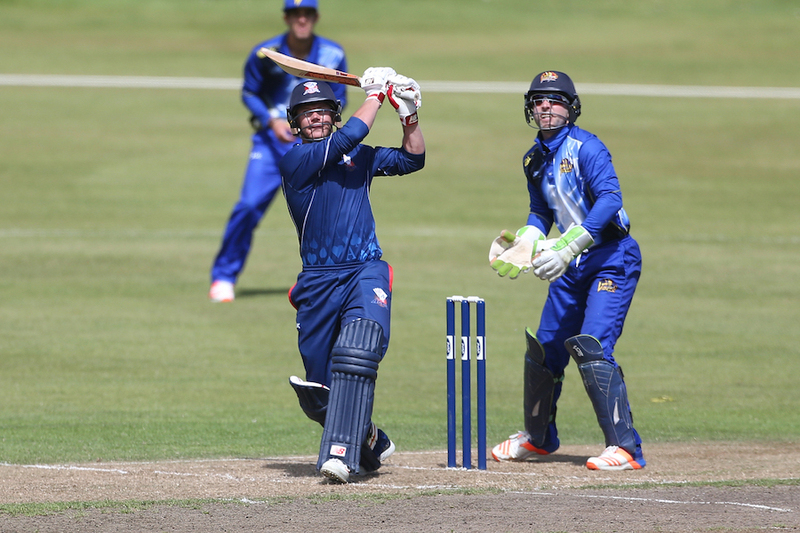 Seeing as the Black Caps’ youth talent is somewhat limited, Phillips stands out as a player in which can secure a place in NZ’s team as a keeper in all three formats of the game, having also played 1 international T20 already. The South African born player has impressed in first class cricket, scoring 218 runs in 7 innings with an average 0f 37, as well as notching a high score of 107. His further feats in domestic T20 have also seen Phillips labelled ‘the next Mccullum”, particularly after his 116 off 57 balls in the 2016/17 Super Smash tournament. While New Zealand do not possess the greatest of youth talent, Phillips is certainly a standout and only time will tell if he is able to make a breakthrough into the international frame.